This badge was issued to Duane Aritonang on 26 Oct 2016. 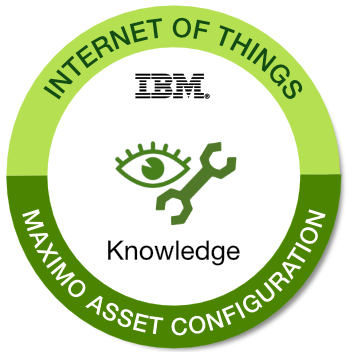 This badge holder has a good understanding of the asset configuration and asset life cycle practices using Maximo. The individual is able to discuss the usage of Asset Subassemblies, Failure codes and Metering. Completion of the quiz at the end of each simulation and receive a score of 100%. Completion of the end-of-course test and receive a score of 80% or higher.